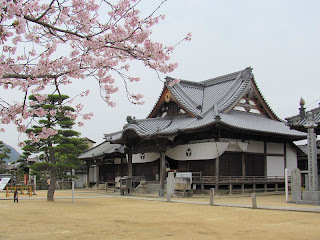 Cherry blossoms at Temple 87 (Nagao-ji). Today I did the walk from Nagao-ji to Ookubo-ji (Temple 88) with Dave Turkington and David Moreton. 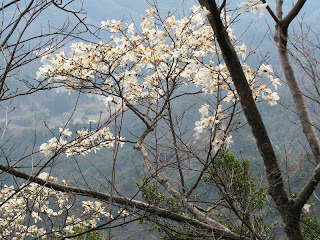 It was overcast most of the day, but we had no rain at all. Actually, great conditions for hiking! 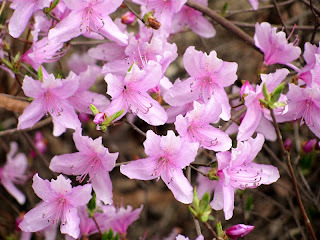 Azaleas blooming alongside the path near the Maeyama Dam. 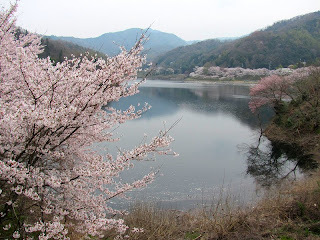 Sakura blooming on the shores of the lake at Maeyama Dam. 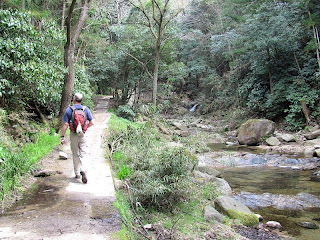 Beautiful stretch of trail along a forest stream on our way to the summit of Nyotai-san. 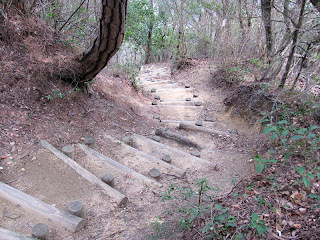 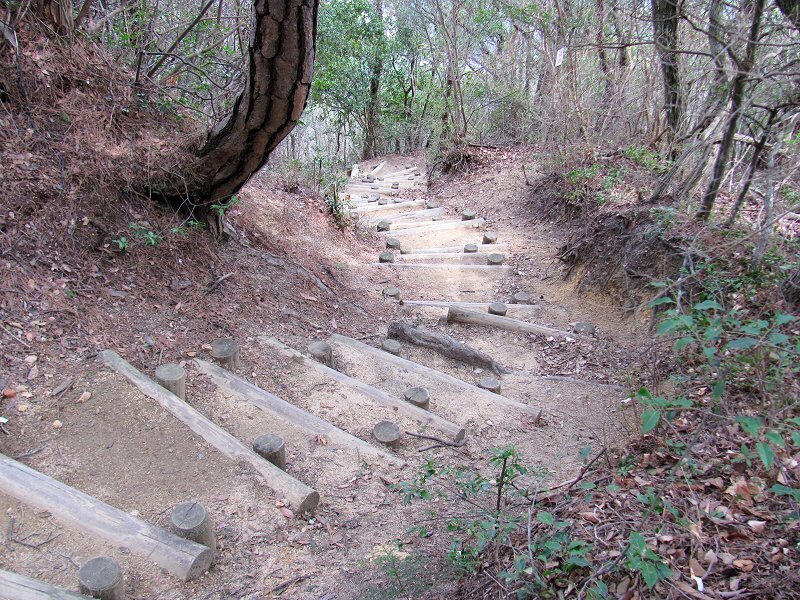 Ascending the trail to the summit of Nyotai-san from where it'll be all downhill to Temple 88 (Ookubo-ji). 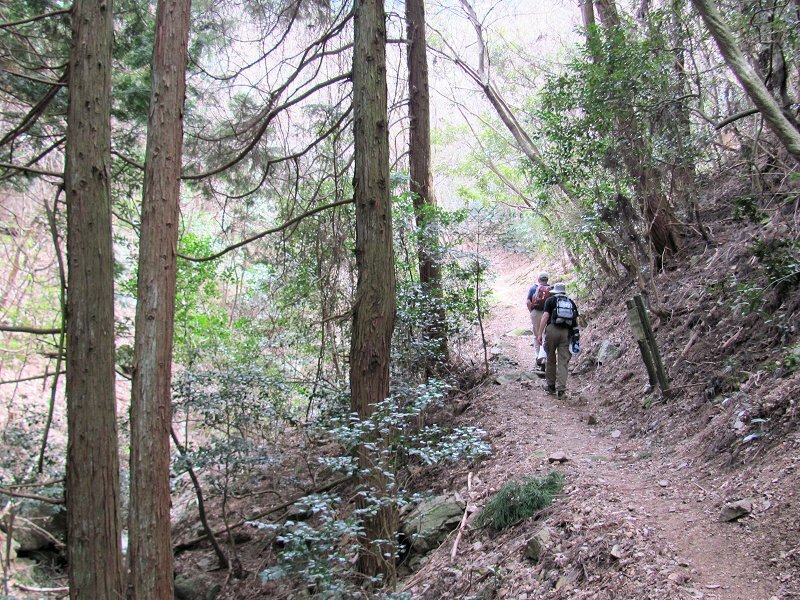 Looking back at the well-built trail on the ascent to the peak of Nyotai-san. 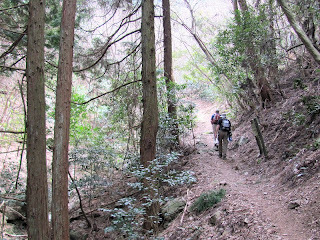 Final stretch of trail before we reached the small shrine on the top of Nyotai-san. 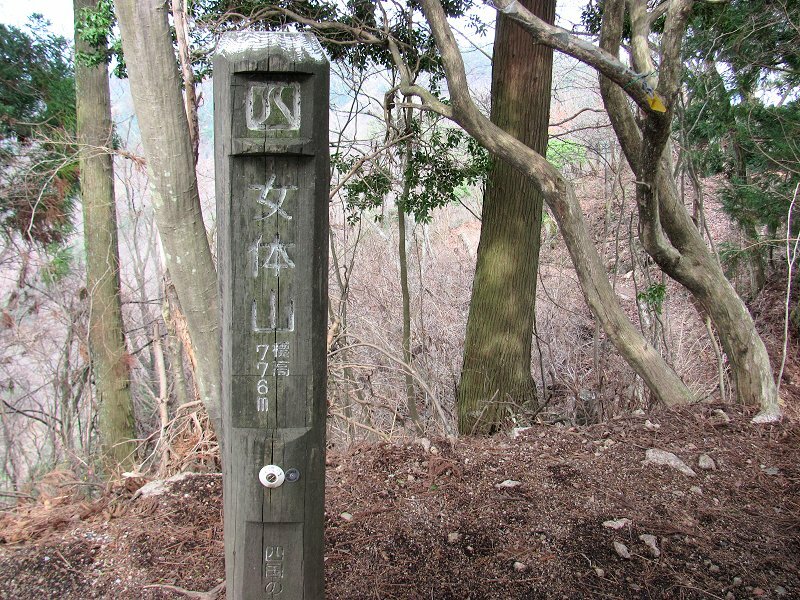 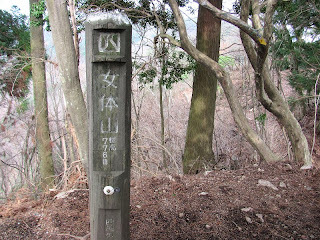 The summit marker on the flat-topped and wooded peak of Nyotai-san. 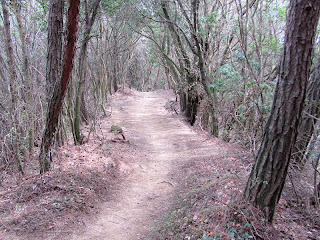 From here, through breaks in the trees, we could see the Seto Inland Sea (Seto Naikai) that separates the island of Shikoku from Japan's main island of Honshu. From the summit of Nyotai-san, it was a steady descent to Ookubo-ji with occasional (and welcome) stretches of level trail. 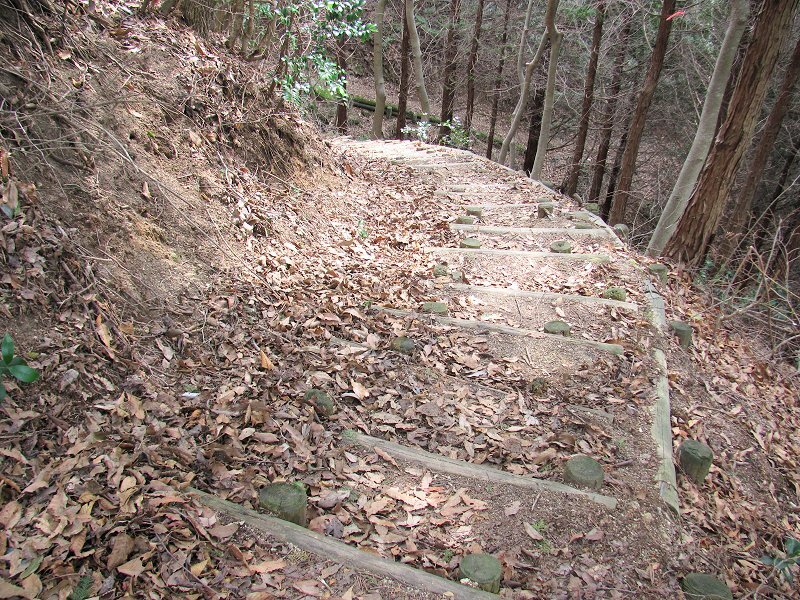 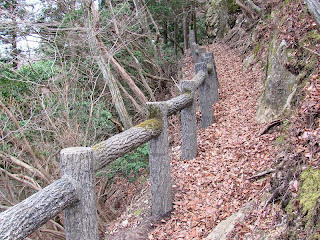 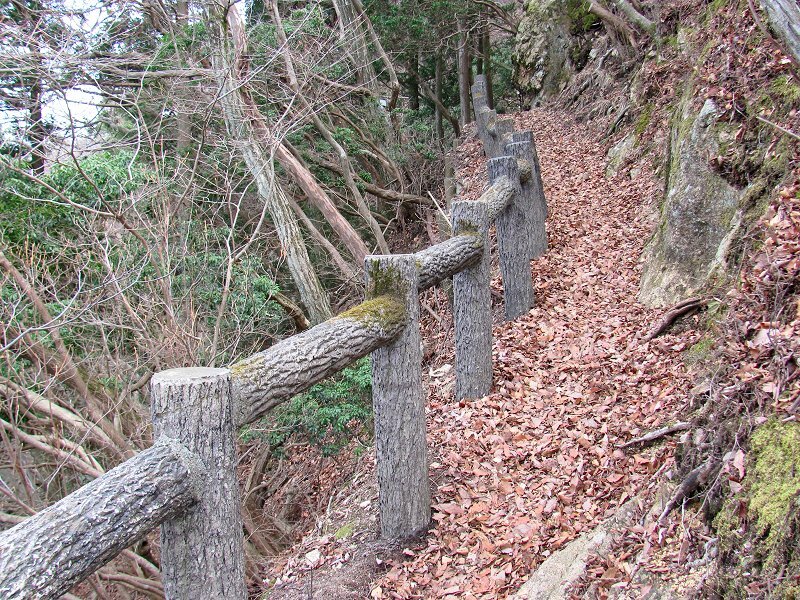 The stepped trail leading down to Temple 88 (Ookubo-ji). 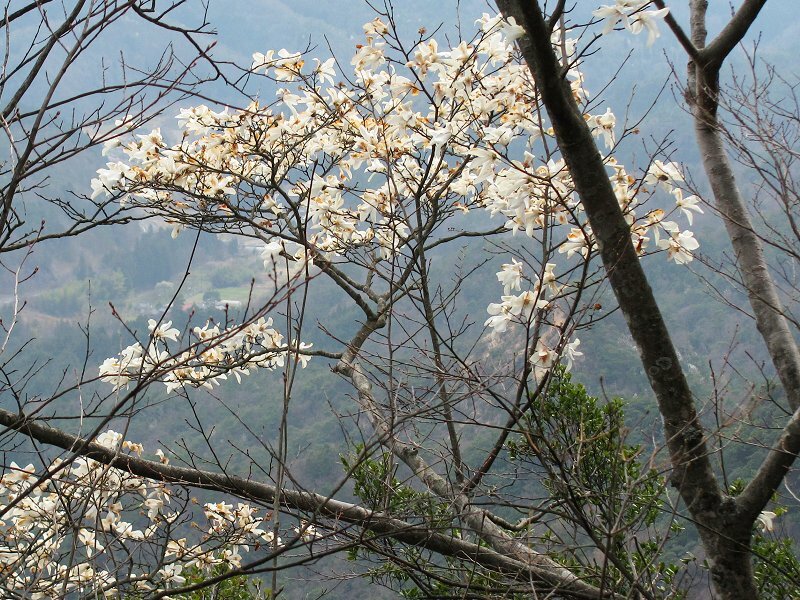 Alongside the trail, magnolia blossoms brightened the way. 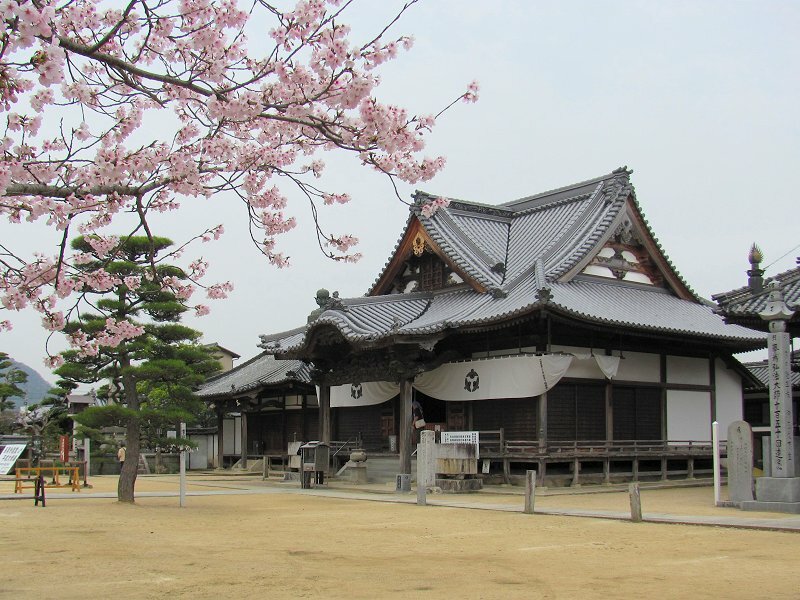 Temple 88 (Ookubo-ji). 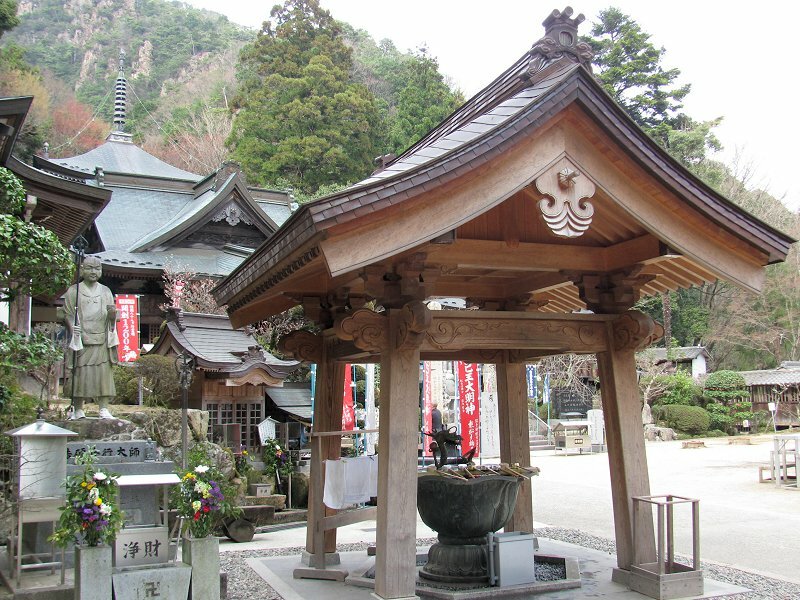 As the last temple of the 88 Temple Pilgrimage, it's known as the Temple of the Completion of the Vow.